ZT Valentine - new elegant, romantic and delicate pattern from the popular design studio ZooTemplate. This template has an attractive appearance with a unique design, so well suited for holidays or social sites dedicated Valentine's Day. Has support for functional content management manager K2, RTL languages, visual mega menu uses proprietary extensions and ZT Headline ZT Slideshow, includes built-in tool setting the background color and scale layout. Among the main advantages of the template is worth noting fast page loading speed, support for various mobile devices and compatible with all browsers. 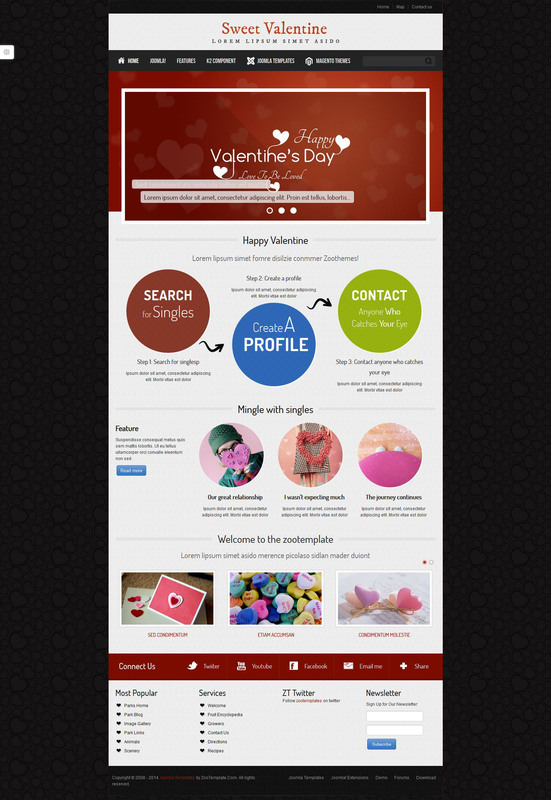 ZT Valentine - a great solution if you want high-quality website development using modern Web - standards.